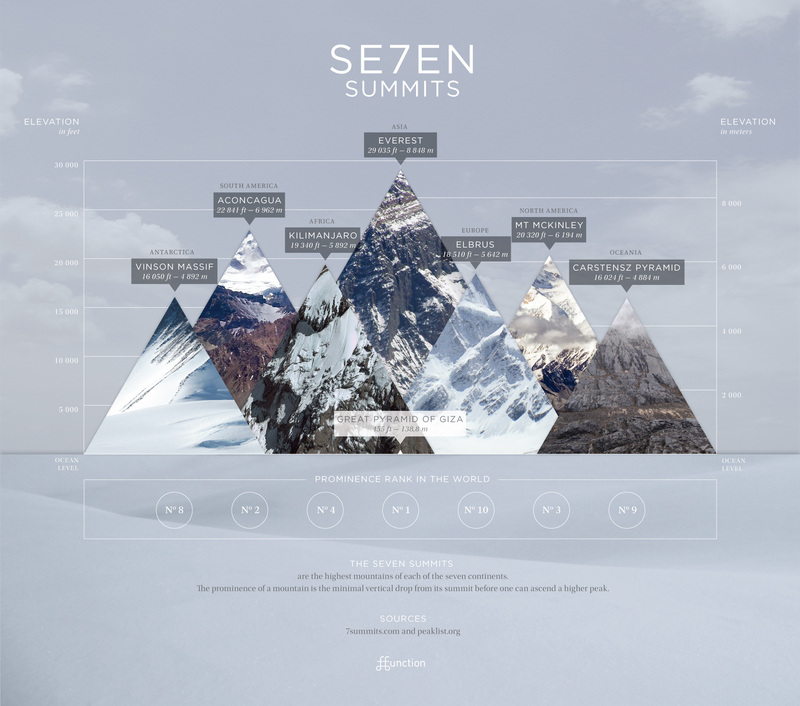 Look out, mountain nerds: Designer Audree Lapierre created the above infographic to illustrate the prominence of the Seven Summits—namely, the height of the summit as compared to its surrounding topography. Typically, this involves looking at a bunch of numbers on a page, but in this case, Lapierre posts the prominence ranking on a chart below the peak. The result: Peaks like Denali or Aconcagua, which aren&apos;t even included in the tallest 100 world peaks, rank #2 and 3 in terms of prominence. This means standing atop them will feel more more impressive than standing atop a lot of higher peaks. If we have one criticism, it&apos;s that it focuses too tightly on the Seven Summits. If she&apos;d focused on other peaks, she could&apos;ve demonstrated some interesting truths—like the truth that Mt. Rainier is more prominent than K2, for instance. Still, it&apos;s a great way to blow your afternoon and kindle peakbagging lust for the summer. Start by clicking here for a bigger image.